I KNOW IM NOT SKINNY BUT IM NOT FAT EITHER. IM JUST AT TH - ProudMummy.com the Web's Community for Mums. I KNOW I'M NOT SKINNY BUT I'M NOT FAT EITHER. 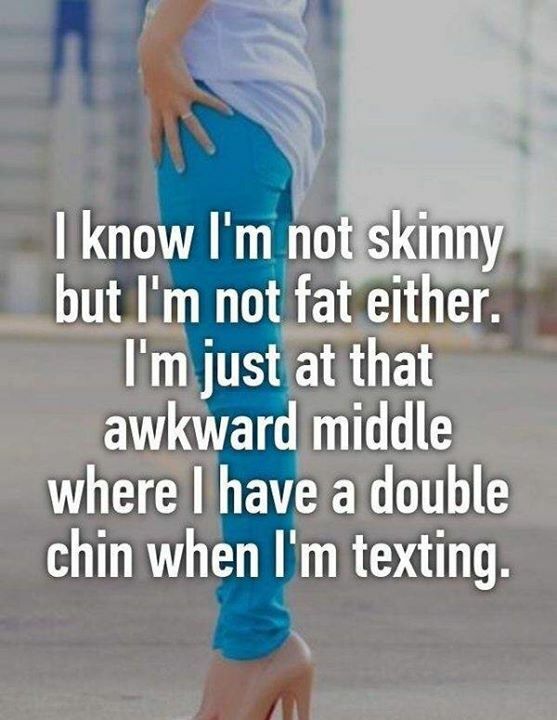 I'M JUST AT THAT AWKWARD MIDDLE WHERE I HAVE A DOUBLE CHIN WHEN I'M TEXTING.